This lesson is to practice map completion for IELTS listening. First, there is some sentence completion and then you must do the map completion exercise. Complete the sentences below using no more than one word and/or a number. The Taj Mahal was completed in ……………..
Around ………… labourers were used in its creation. Label the map below using no more than two words and/or a number. Welcome to the Taj Mahal. This is one of the most famous monuments to love in the world. It was built between 1631 and 1653 in the city of Agra by the Mughal Emperor Shah as a mausoleum for his wife. The construction involved some 20,000 workers and incorporated materials from China, Tibet, Sri Lanka and Arabia. We are here at the Outer Gate and directly in front of us is the forecourt. On the left hand side of the forecourt, you will see some subsidiary tombs and opposite that are the tomb attendants’ quarters. If you go straight ahead, you will come to the Great Gate and beyond that is the formal gardens. The gardens are divided into 4 sections by paths which represent the 4 rivers of paradise. Midway, where the paths intersect, is a marble pond, in which the mausoleum is beautifully reflected. Walking through the gardens, past the pond, you will come to the mausoleum itself which has a marble dome, 35m high. Each side of the building has archways which are framed by carefully chosen verses from the Qur’an in beautifully stylised calligraphy. To the left of this, is the mosque and to the right you can find a guesthouse. Now I’ll give you some time to wander round and see this marvel for yourself. Thanks for all the contents on your website & YouTube videos, which are very helpful indeed for the IELTS exam aspirants. However, I’d like to kindly highlight that in my view, the tone of your replies, in general, to the questions posed are quite condescending. Of course, it is understandable – “your website, your rules”. But some consideration could be made I guess. Thanks for your comment. I will try to do my best to be more positive to all comments posted. However, I was wondering how many of my comments are condescending – I mean, I have replied to over 15 thousand comments and I was wondering how many of those would be considered “not nice”. I could try editing the comments I have already posted, but I’m struggling to find the ones that are condescending – I’ve gone through about 300 hundred out of 15,000 so far and found about three comments where I became frustrated and tired. So any help you can give in finding these comments let me know so I can edit them and maintain the positive vibe on the site. I also want to add something you said about being “abrupt”. You do realise that I have over 26,000 comments waiting in moderation for me to answer?? My website is literally overloaded with people wanting me to answer their questions. If I attempt to answer everything in the way I am answering you (full long sentences with things well explained), I would not have time to help as many people as I do. Have you thought about that aspect? I also work alone while being very sick – I just don’t have time for anything but abrupt answers if I am to answer as many questions as I do. Does that alter your opinion of me at all? Does it alter your view of what this website does? What its aims are? Thanks for your precious exercices.unfortunately I understood that I have a big problem with spelling,specially those you mentioned in the recording.can you give some effective tips to solve this problem? Spelling is something you have to work on actively and consciously. You need to take time and start learning the spelling until you know it by heart. It might be due to your internet connection. The audio is streamed online. You said no more than one word, but some of your answers does otherwise. Did you read the instructions carefully? Questions 1-2 have one set of instructions and questions 3-7 have a different set of instructions. “To the left of this” in the transcript , does it mean right to the viewer and if so, the answer will be mosque not guest house, please clarify. Why the answer to question 1 isn’t Agra. The transcript does not say it was built in 1653, but it gives the duration of time. I am very confused here. The collocation is “completed in…” with a date or time. You can’t use the verb “complete” with a place. This is about knowing your collocations. Good afternoon Liz, thank you for the teachings! I’m grateful☆☆☆please how can I listen to the mp3 audios because I can’t access that of sound cloud. Thank you. Some of my listening are soundcloud but some are not. Go through the other exercises and do the ones that don;t use soundcloud. The recording did not say “22 years”, it gave a date. Your task is to write the answer you hear, not put in synonyms or calculate time. I would like to ask a question about the form of written answers in the answer sheet. IELTS don’t pay attention to capital letters in listening. You can use them, not use them or mix them up. No problem (2017). In the BC website itself ,there was no particular tip given for using Capitalisation. And I checked in other blogs too – ex ielts-simon.com. There also, it was given, writing CHINA / china / China / cHiNa – all are correct. Your sixth answer is incorrect. She said mausoleum twice. This is also a spelling test. You must have the right spelling. See the main writing task 1 page: http://ieltsliz.com/ielts-writing-task-1-lessons-and-tips/. All main pages are accessed through the red bar at the top of the website. Don’t worry about it as capital letters are not marked. Would you please advise about the separation of thousand with ” , ” is compulsory? I.e. 20,000. or 20000 also is correct? It is better to use punctuation as that is normal in English and easier for the reader. when they given me a invert of time such as ( was built between 1631-1653) , when ask me in question what time taj mahal was built ? i always choose the last date (1653)? The question asked when it was completed which means finished. If the question is when was it built, the information will give only one date. Is the mausoleum spelling must be correct? Yes, it must be correct. Thank you for this marvelous website. May I ask you, why an answer under the number 6 is “mausoleum” and not “marble dome”. I thought that a speaker should a little bit emphasize the right answer with the intonation or pause, whereas in this particular case the word “mausoleum” was not accented at all and vice versa the word “dome” was definitely emphasized. And thank you in advance for your answer. The transcript says “you will come to the mausoleum itself which has a marble dome,”. 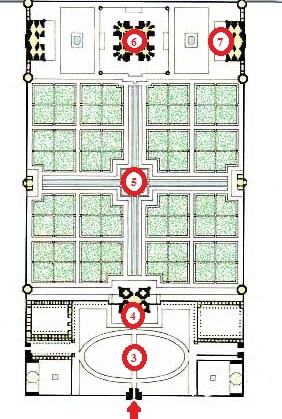 This means the answer is “mausoleum” and “marble dome” is just a description of that location. do the exam questions will returned sometimes ? or never will be same? The speaking questions and topics remain similar for about three months and then change. But they are often repeated year after year. The writing topics are often similar but the questions change. Moreover . i am in Malaysia so the exam questions same with UK or every country has different questions . Do u have an exam questions for this year 2016 ? There are a number of different topics used each month – not just one. Hi I would like some privet lessons, how i can get it? See my advanced lessons for writing task 2: http://subscriptions.viddler.com/IELTSLizStore. I don’t offer one to one lessons. Thank you for this great website. I want to thank you for this great website which has everything available for IELTS aspirants. With God’s grace and your blog I was able to achieve my desired band score. Can we write all the answers in capital letters in the listening and reading parts of ielts ? Am about to appear for the IELTS test in this coming month. I have very few time to left for the exam. I have started with listening test first and have done with the section 1 completely. However, in section 2 I am facing problems on map completion. There are many vocabulary in directions that was used in the audio which was a difficult part for me to understand. I request you to provide me with some important tips and vocabulary for directions, So that I can use it carefully in the map completion part. See these lessons on map listening: http://ieltsliz.com/tag/map-completion/. Also learn the language from maps in writing task 1. It is the same language. I always make mistake in using of capital letters while answering. can you please explain when to use capital letters? why you used capital in great gate and why not in marble pond or in guest house? I was just wondering why on Earth should we know such detail about the history of India that Taj Mahal’s Great Gate is a name not a description? If I answer “great gate” then I wrote down what I heard and since I don’t know the different parts of Taj Mahal in detail, I couldn’t predict that these words should’ve been written with capital letters. It’s not really comparable to July or Mr Brown. Because if it was a description it would be “a great gate” not “the Great Gate”. Grammar is your best friend for listening. I’m with Paula on this one, I was so focused on finding the right answers that I didn’t hear “the” before great gate. this is totally unfair. I have exam tmr, and thous kind of things still confusing me…. I remember that somewhere else, I encountered something like “The Secret Garden” as answer. Can you give me the name of website where I can find past IELTS test questions in all section?? ,please ! I don’t know any website with that. I need more practice regarding maps in listening. Where I can find more maps? These are all my map lessons: http://ieltsliz.com/tag/map-completion/. You can find more in the IELTS Cambridge Test books from 1 to 10. Please see the IELTS Extra Section and the Useful Website page. Thank you madam for your nice lesson . Really you are a great person . Might i have any mark if i do not capitalize great gate? Please see the 25 tips lesson. Mame, i am really a big fan of yours, your teaching way is quite different and too good, easy to understand. I have prob with MCQ’S section of Ielts, kindly give some extra tips. Thanks for your efforts. I am very grateful to your writing session as well as the listening. Please upload some another maps. it would be more helpful for me. I am going to take the IELTS test (General Training) in the next month, so please do for me right now and please upload GT reading module which can be more helpful for me. once again thank you very much and if I made any grammatical mistake please notify me as well. Here’s a link to some GT reading practice: http://takeielts.britishcouncil.org/prepare-test/practice-tests/reading-practice-test-1-general-training. I plan to make another video about maps but unfortunately, it won’t be ready soon. See my map model to learn more about maps on the writing task 2 practice lesson page. Please see all my listening lessons for map practice. I will upload more over time.